The British Video Association (BVA) has released some new statistics about movie watching in the UK, which show that digital transactions are up an impressive 20 per cent year on year. The home entertainment industry is in a state of flux at the moment, with many finally making the transition from DVD to Blu-ray and also a large number of movie watchers choosing digital as their format of choice. The BVA's results show that digital transactions now make up 15 per cent of the movie market in the UK, which equates to £206.3 million. While these numbers are impressive, digital still has a long way to go before its reaches the heady heights of discs – with 127 million physical purchases so far this year adding up to £1.14 billion. One of the biggest pushers of digital in the movie world is Fox, with its triple play initiative. Robert Price, UK Managing Director for Twentieth Century Fox Home Entertainment said to TechRadar about the BVA's results: "Demand for digital copies is rocketing, with access via Blu-ray proving the easiest and most popular way for shoppers to access movies for when they're on the move. "All new Fox movies published in the UK come complete with a Digital Copy suitable for viewing on an iPad or Android tablet/phone and as a result of this added value, we've seen ownership of movies remaining strong in the UK, with 90 per cent of those consuming movies in the home choosing to buy them. 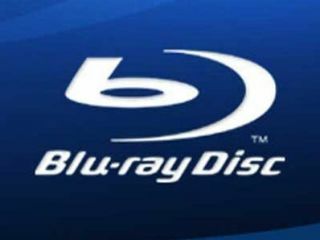 "Blu-ray is here to stay. One third of UK homes already have the box beneath their TV, and with prices on players tumbling to just £40 we're expecting this Christmas to be a turning point for Home Entertainment with Rise of the Planet of the Apes set to achieve half of all sales on Blu-ray." The BVA also points to Warner's Harry Potter and the Deathly Hallows Part 2 and Paramount's Transformers: Dark of the Moon as being some of the titles which consumers are set to buy in the next two weeks – which is being pegged as the biggest fortnight of the year for DVD and Blu-ray sales.